People want to know my rescue story, but I don’t really like to think about the past. 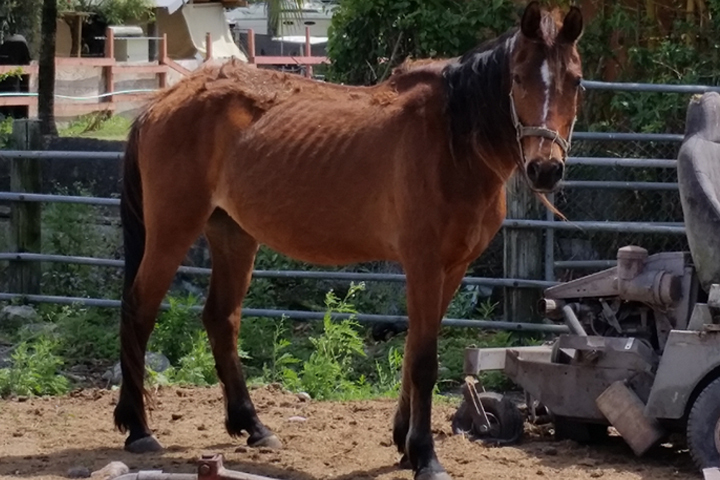 I’m trying hard to stay positive and appreciate my new life here at SFSPCA, but I will say this: People shouldn’t hurt horses or any animal by hitting them, starving them and neglecting them. I have a lot to forgive, but the nice humans here are making it easier for me every single day. My best friend Kelso was rescued with me in March, 2016, and he’s in the stall right next to me which is a comfort. We watch over the littles in the Mini Barn from our stalls together. He tells me to trust people, and that I’ll be okay. I have something called “Cushing’s Disease,” which I hear is not unusual for Morgan horses like me. The doc thankfully figured out the best medicine to keep it under control, and I feel so much better now. I’m told I’ll get to start training soon, which is the next step to getting adopted. 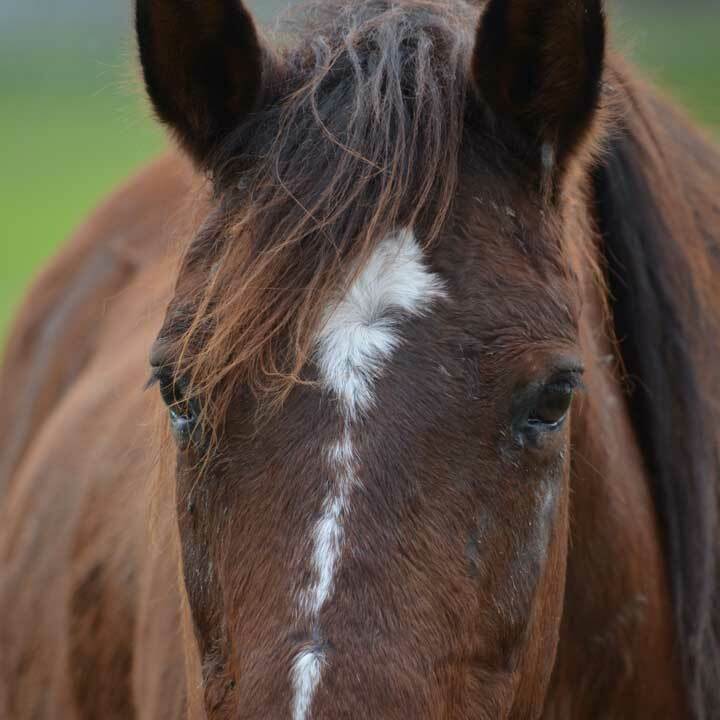 I know there are a lot of other horses here who will probably get a forever home before me, and that’s okay. I know my time will come, but until then I really, really want a sponsor. Will you be mine?